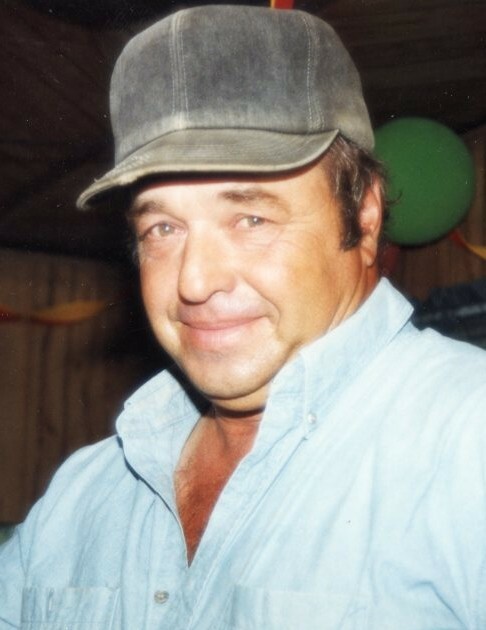 George C. Ebright, 69, of South Salem, died unexpectedly on Wednesday, August 29, 2018, at Adena Regional Medical Center, Chillicothe. He was born on October 24, 1948, the son of the late Ernest E. and Mildred E. McMullen Ebright. His wife, the former Carolyn Selby, preceded him in death. George is survived by a large family, including three children, Shelly R. (Steve) Chain of Leesburg, Stacie (Travis) Bobbitt of South Salem, Jesse G. Ebright of South Salem, five grandchildren, Samantha Jarvis, Halie Chain, Justin Bobbitt, Wyatt Bobbitt, Gage Ebright, four great-grandchildren, Addlynn Chain, Gabe Chain, Blakely Chain, Gracie Rhoads, and a great-granddaughter on the way, three sisters, Karen G. Ebright of Columbus, Jill V. Ebright of Columbus, Susan E. Dupont of North Pole AK, three brothers, John E.(Eileen) Ebright of Williamsburg OH, William D. (Becky) Ebright of Frankfort, Kevin M. Ebright of Columbus, and several nieces and nephews. George was preceded in death by two sisters, Phyllis J. Eusey, and Carol A. Hamilton. George was a 1967 graduate of the Edward Lee McClain High School. He worked in various capacities for the City of Greenfield. George was a well-known and well-respected judge for the United Kennel Club, and long-time member of the Fox Knob Coonhunters Club. He enjoyed helping new hunters learn to coonhunt and imparting his vast knowledge of the outdoors on younger generations. George was an avid outdoorsman and enjoyed spending time on his front porch. A graveside service will be held at 11am on Tuesday, September 4, 2018, in the Greenlawn Cemetery, Frankfort, with Danny Dodds officiating. In keeping with George’s wishes, no calling hours will be held. George’s family at the EBRIGHT FUNERAL HOME, Frankfort, is handling the services.